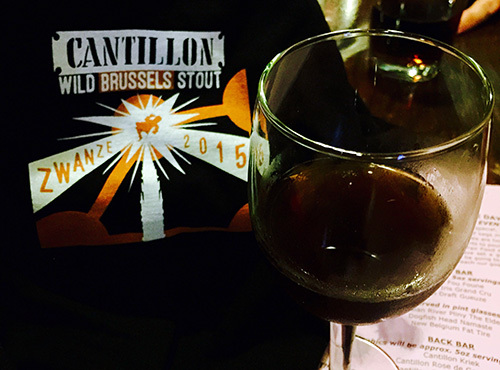 I recently attended one of my favorite annual sour beer events, Cantillon Zwanze Day. 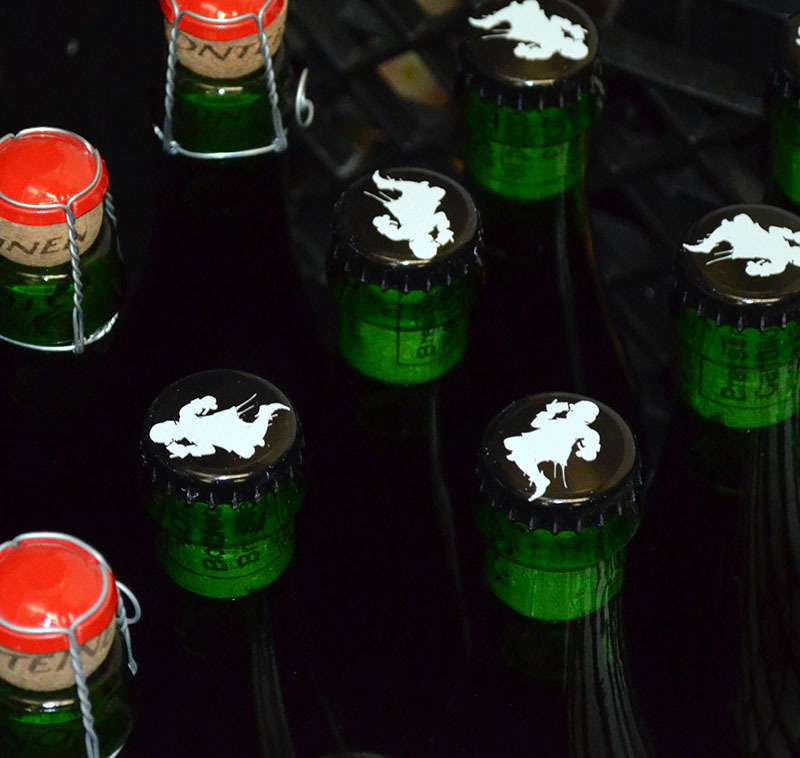 Zwanze Day, which is held every fall, is a day to celebrate traditional Belgian lambics and the products of the Cantillon brewery. Each year, Cantillon releases a different unique beer for the event that is tapped at the same time at all of the locations worldwide. As we have for the past several years, my partner and I traveled to the closest location hosting the event, Monk’s Cafe in Philadelphia, and had a wonderful day enjoying their Belgian style cuisine and a fantastic assortment of draft Cantillon and other great sour beers. 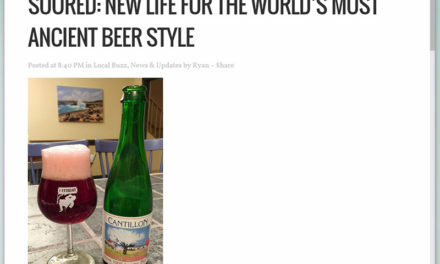 One of the beers I drank on draft was Cantillon Rosé de Gambrinus, which I have had the opportunity to enjoy in both draft and bottled versions a number of times over the years. In both draft and bottle, I have noticed that different levels of carbonation can significantly alter the way I both perceive and enjoy this beer. These thoughts prompted me to discuss carbonation levels in sour beer from both a brewer’s and a consumer’s standpoint. The Basics – What is Carbonation? Carbon dioxide, a simple molecule composed of one carbon atom and two oxygen atoms, is a natural byproduct of a wide number of chemical reactions that break down more complex carbon compounds. In the case of sour beer production, these carbon compounds are the simple sugars present in wort and the chemical reactions are the alcohol producing fermentations of yeast species such as Saccharomyces and Brettanomyces as well as certain (heterofermentative) strains of the bacteria Lactobacillus. For the serious chemistry geeks..
For such a relatively simple molecule, the chemistry of carbon dioxide can be very complex. However, for our discussion, we are only going to focus on one important piece of this chemistry: When carbon dioxide dissolves into water, one molecule of carbon dioxide can combine with one molecule of water to produce carbonic acid. The formation of carbonic acid is the reason why carbon dioxide does more for a beer than simply make it bubbly. Carbonic acid lowers a beer’s pH and carries with it the flavor effects that other acids in beer also carry. Keep in mind that carbonation will not change a beer’s pH drastically enough to make it sour. Carbonation can, however, accentuate a beer’s existing sourness on the palate. In terms of its flavor effects on beer, all carbon dioxide is created equally. This is true regardless of whether the carbonation is created naturally through fermentation or added to a beer in pressurized vessels. That being said, the process of bottle or keg conditioning can produce subtle yet notable changes in flavor due to effects experienced by both Saccharomyces and Brettanomyces when fermenting under pressure. Keep in mind that these effects are subtle and strain dependent. Typically, when we notice a difference in character between a sour or farmhouse ale that was bottle conditioned versus force carbonated, the difference is simply due to a higher level of carbonation in the bottle conditioned version. For every classic beer style, there will be a general range of carbonation levels that are considered appropriate for that style. These levels, measured in volumes of CO2, developed organically for each style based both upon what tastes best for that beer as well as upon what fermentation and serving methods evolved historically. For example, many British beers would traditionally be served out of wooden casks (a low pressure vessel) and, in turn, these tend to be the least carbonated styles, ranging from 0.75 to 1.5 volumes of CO2. At the other end of the spectrum, and of more interest to sour beer fans, Belgian Gueuze did not exist as a style until glass bottles capable of holding champagne levels of CO2 became modestly available. Gueuze, by definition, is a bottle conditioned style and therefore became commonly served at higher pressures which these new containers were capable of holding, 3.0 to 4.5 volumes of CO2. This begs the question: Historic conventions aside, would a British Mild taste good at high carbonation and a Gueuze taste good at low carbonation? The answer: Well… It depends. Despite the fact that much of we consider to be “good taste” is personal, there are attributes of any beer that can be made more or less impactful through higher or lower carbonation levels. Lower carbonation levels tend to emphasize the sweet malty flavors in a beer. They also tend to produce a smoother, potentially creamier, finish. Higher levels of carbonation tend to downplay malt sweetness while enhancing both the perception of bitterness and/or acidity in a beer. They also drive more aromatic compounds out of the beer (enhancing aroma) and tend to leave the finish feeling dryer and more crisp. In the case of a British Mild, a low alcohol beer with rich malt flavors and a subtle roast character, too much carbonation can leave the beer feeling thin on the palate, with less sweetness and a more astringent roasted quality. On the other hand, an under-carbonated Gueuze can taste sweeter than intended, while coming across as lackluster in the aroma department. Additionally for Gueuze and other traditional lambics, I feel that lower levels of carbonation can accentuate the perception of their acetic acid and ethyl acetate components. These chemicals are present to at least some degree in all traditional lambics, but can be perceived as off-flavors if their levels are too high or if other elements of the beer are left unable to balance them. When properly balanced by lactic, malic, and carbonic acids, acetic acid will give a sour beer a round, complex, salivation producing acidity. If unbalanced, acetic acid can taste like vinegar, be harsh, or even burning in the throat. Ethyl acetate at low levels will smell like pears and provide a sharpening edge to a beer, while at higher levels this chemical will smell solventy, like nail polish remover. Traditional lambic brewers and blenders have the skill to optimize the levels of both of these components in their Gueuze and fruit lambics. Therefore, the level of carbonation and equivalently carbonic acid in the finished product can tip the scales in one direction or the other when it comes to perceiving these chemicals. As a brewer, I want to provide my drinking audience with a beer that has at least enough carbonation to showcase its flavors and aromas in the best possible way. For my palate, this means erring slightly on the high side of the carbonation spectrum for the individual styles of sour beer that I produce. When sampling base beers or testing out a blend, I am a big fan of using a simple set of tools that allow a brewer to quickly cool and carbonate a sample before tasting. 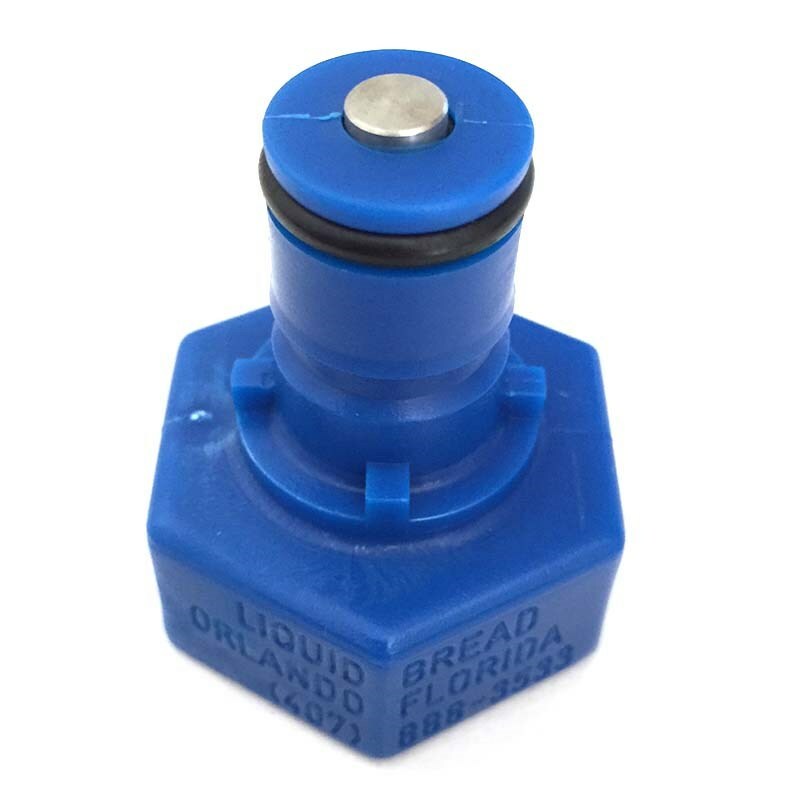 This setup uses a plastic cap which screws onto most standard water or soda / pop bottles and connects to a ball lock gas fitting. With this low cost tool, we can taste small samples of a beer as they will taste when finished with carbonation. As mentioned earlier, carbonation can dramatically alter our perception of flavor and aroma when tasting a beer. Therefore I find it incredibly useful to be able to taste small carbonated samples without having to commit an entire batch to keg or bottle. As a homebrewer who serves most of my beer on draft, hitting a desired carbonation level is a fairly straightforward process. When a blend is ready, I will transfer the beer to a keg and force carbonate it to the desired level. If bottling, I use counter pressure filling to ensure that every bottle I produce will have about the same carbonation level as the beer that I am tasting on draft. As a homebrewer, these processes are simple and effective, but have a few limitations. First, they are more expensive than bottle conditioning, requiring more equipment. Second, they may be difficult to scale up for professional breweries, as pressurized bottling or canning lines are very expensive and present unique sanitation challenges when working with Brettanomyces and bacteria. Third, the higher the desired carbonation level, the more challenging it is to dial-in handheld or automated counter-pressure bottle fillers. At CO2 volumes above 3.0, excessive foaming and associated low bottle fills and/or excessive wasting of product can easily occur. The amount of CO2 dissolved in a beer after fermentation. The potential residual fermentability of the beer. The desired volumes of CO2. Long aging times can make our estimates of dissolved CO2 inaccurate. Unless a recipe has been brewed and aged several times using the same strains of microbes, it’s residual fermentability could be nearly impossible to guess. Many strains of Brettanomyces can be hyperattenuative, continuing to slowly ferment the complex residual carbohydrates for months or even years after the primary fermentation is complete. Aggressive strains of Lactobacillus or Pediococcus can convert some portion of simple priming sugar into lactic acid, a process which will not produce any additional carbon dioxide. When calculating the amount of residual CO2 in your beer, use the highest temperature that the beer reached during its aging period. If a beer was barrel aged, Michael Tonsmeire recommends halving the CO2 estimate. Check out his Priming Sugar Spreadsheet on The Mad Fermentationist Blog. When bottling a beer with Brettanomyces, closely track the beer’s attenuation during its aging. I would recommend against bottling any beer with a specific gravity of 1.008 or less that has not had a stable attenuation for at least 3 months. If a beer has a specific gravity higher than 1.008, I would recommend observing a stable gravity for 6 months before bottling. The only time I would consider bottling younger is if you have brewed the exact beer previously and have a clear expectation of what the final gravity will be. Remember that this practice also applies to counter-pressure filled bottles. Unexpected rises in attenuation can lead to over-carbonation in these beers as well. When bottling a mixed microbe beer, do not introduce new yeast or bacteria strains at the time of bottling. 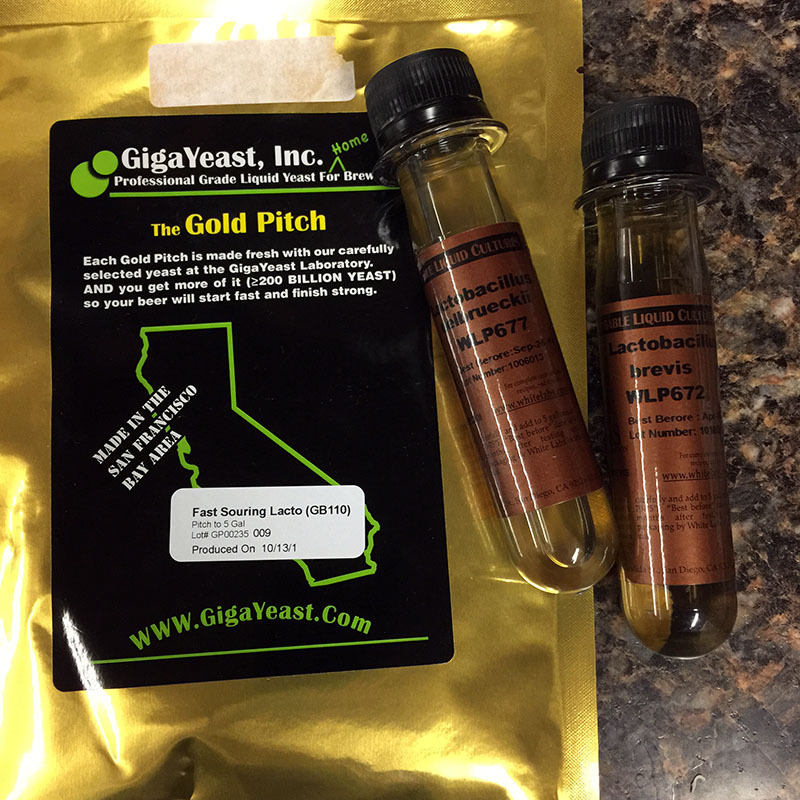 If adding fresh Saccharomyces or Brettanomyces, make sure to use strains that already exist within the beer. 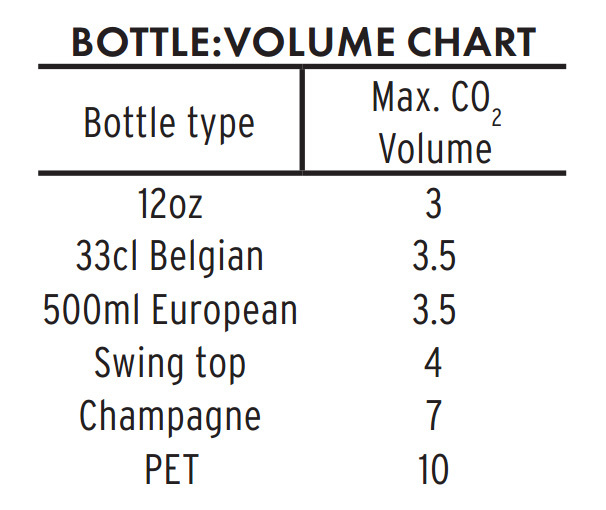 Select bottles that can tolerate higher than expected carbonation pressures. No brewer wants to release beers that gush when opened, but it is a far better accident than bottles that explode. If your beer does continue to attenuate after bottling, it will gain approximately 0.5 volumes of CO2 for every point of specific gravity lost. For example: If a beer is bottled at 1.008 SG, and it drops to1.000 SG, it will gain 4 unintended volumes of CO2 in addition to whatever carbonation was provided by priming sugar. Such unexpected attenuation would put the total carbonation of the beer to between 6-7 volumes. Champagne bottles are the only glass containers on the market that can handle these pressures without exploding. Luckily, it’s rare for any beer which has had a stable gravity over several months to later ferment to 100% apparent attenuation after bottling. While it may be rare, it is however possible, and this has led many professional sour brewers to avoid bottling any beer with a final gravity higher than 1.008 (2 Plato). Kai Troester’s page on carbonation formulas. John Palmer’s Chapter on Bottle Conditioning in How To Brew. Northern Brewer’s Advanced Bottle Conditioning Guide. Like any brewing process, repetition and experience with your recipes, strains, and fermentations will help take the guesswork out of proper carbonation. I personally err on the side of slighter higher carbonation levels because, as we will see, from a consumer’s standpoint, it’s relatively simple to remove a little extra carbonation from a beer but it is practically impossible for the drinker to add more CO2 to a flat beer. As sour beer drinkers, we will encounter beers that range from completely still (intentionally or unintentionally uncarbonated) to those with such high carbonation levels that the beers may gush a little (or a lot) upon opening. When I am trying a new sour beer for the first time, I always open the beer with the assumption that it may be slightly over-carbonated. Regardless of how a beer has been cellared, I prefer to put my sour beers upright into a refrigerator for at least a few days (but more frequently for several weeks) before opening them to allow for yeast and other sediment to settle to the bottom of the bottle and for any carbonation that may have been agitated out of solution by transport to stabilize. When I open a bottle, I like to do so with enough glasses to serve the beer ready to go. If a beer does begin to foam up once opened, having several glasses available can keep from losing beer to spillage that may have been perfectly delicious to drink. Unlike “clean” styles, which generally become very unappealing if they become over carbonated via hyperattenuative wild yeast strains, sour beers tend not to suffer a dramatic drop in flavor quality if they become over-carbonated. 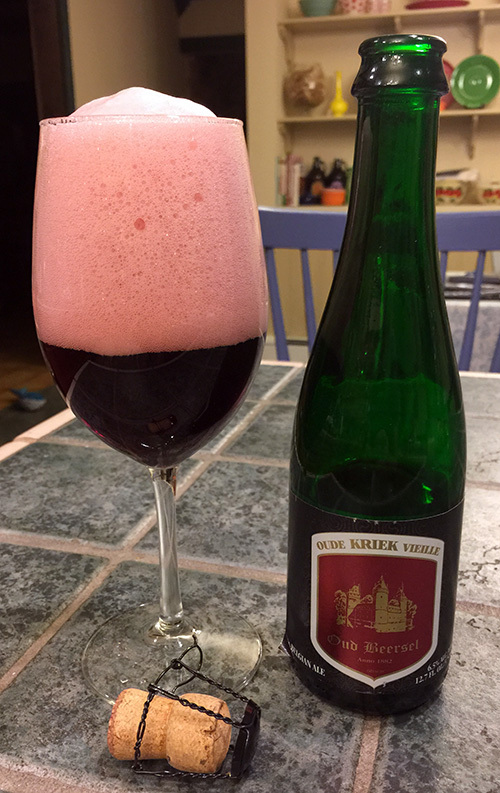 This bottle of Oud Beersel’s Oude Kriek Vieille is an example of a beer that I may consider degassing. If I pour a beer into my glass that seems to be very highly carbonated (creates a large volume of head with a moderately gentle pour and continues to bubble strongly), I will slowly take a sip of it into my mouth and hold it there. Once in my mouth I will feel how the beer is reacting on my tongue. If the beer feels so spritzy / prickly in my mouth that I’m not actually able to taste much beyond the sensation of carbonation, then I may consider removing some of the extra CO2 from the beer. The best way that I can describe this sensation is to say that if feels like more gas bubbles are hitting your taste buds than actual liquid. The easiest way to remove some extra CO2 from a beer is to pour it gently once or twice from one glass to another, this will release additional carbonation in the form of head with each pour. A second way to degas a highly carbonated beer is to pour it into a decanter and allow it to rest and open up over a period of 10 to 20 minutes. 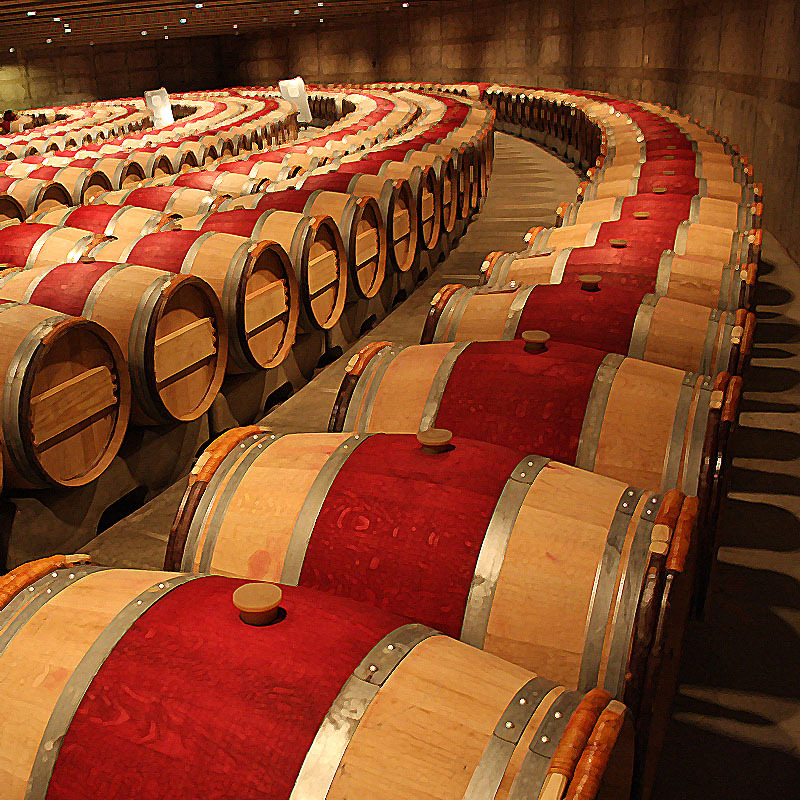 This is very similar to a process used to open up certain varieties of wine and can be done using the same containers. Lambics from the brewery Drie Fonteinen are a classic example of beers that often benefit from some degassing. Their master blender Armand Debelder highly recommends it and I can attest that doing so does bring out a wide range of complex flavors in his blends that may be otherwise missed. 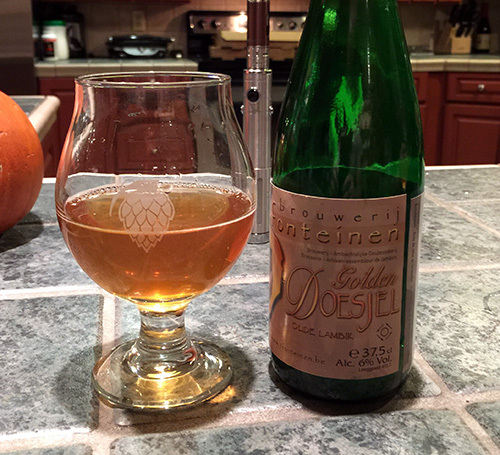 Drie Fonteinen’s Golden Doesjel is an example of a lambic beer served intentionally still. On the other end of the spectrum exist a wide number of sour beers which are purposely bottled still or with very low carbonation. This is the norm for unblended Lambic and is also often the case for certain single barrel American sour releases. In my opinion, the best way to serve these beers is at the high end of cellar temperature, 55 to 60 F. To help drive aromatics, I will give these beers a vigorous pour and often drink them a little more slowly, allowing some oxygen to gradually mix into the beer. It is interesting to see how these still varietals will open up and change in character over the course of 30 to 60 minutes. From a brewer’s perspective, sour beers generally undergo complex fermentations with a variety of microorganisms. In some cases the exact organisms involved may be unknown. While we can make educated guesses which tend to become more accurate with experience brewing and fermenting a particular recipe, miscalculations do occur. In fact, they occur rather frequently. This fact leads to a wide variability between the carbonation levels of different sour beers, and even between different batches of the same sour beer. To compound the matter, safety and the prevention of exploding bottles is a very real concern on the minds of sour brewers who distribute their products. That being said, carbonation doesn’t have to be a total shot in the dark. The keys to success in hitting a desired carbonation level are patience, accuracy in measurements, and detailed note taking for future repeatability. From a consumer’s perspective, we are sometimes disappointed by sour beers that may have a lower or higher amount of carbonation than expected. Fortunately, most sour beers have redeeming flavors at a wide range of carbonation levels. Additionally, there are methods that we as drinkers can use to maximize our enjoyment of these beers. Hopefully this article has provided both an understanding of the complexities of carbon dioxide in relation to sour beers as well as some practical tips for both the brewers and consumers who love these styles. As always, I welcome your thoughts and questions on the topic! Okay.. Technically its not “impossible” for the consumer to add their own carbonation.. but you’ve got to be a nutcase like your’s truly to bother doing so! Cheers Sour Fans! Palmer, John J. How to Brew: Everything You Need to Know to Brew Beer Right the First Time. Boulder, CO: Brewers Publications, 2006. Print. Steen, Jef Van Den. Geuze & Kriek: The Secret of Lambic. Tielt, Belgium: Lannoo, 2011. Print. How are many sour beer producers kegging their beer? If I have cantillon on tap for example, is that force carbonated? Are they naturally carbing in keg or brite? Kegs of Cantillon are naturally carbonated using the same blending process they use when bottling their beers. 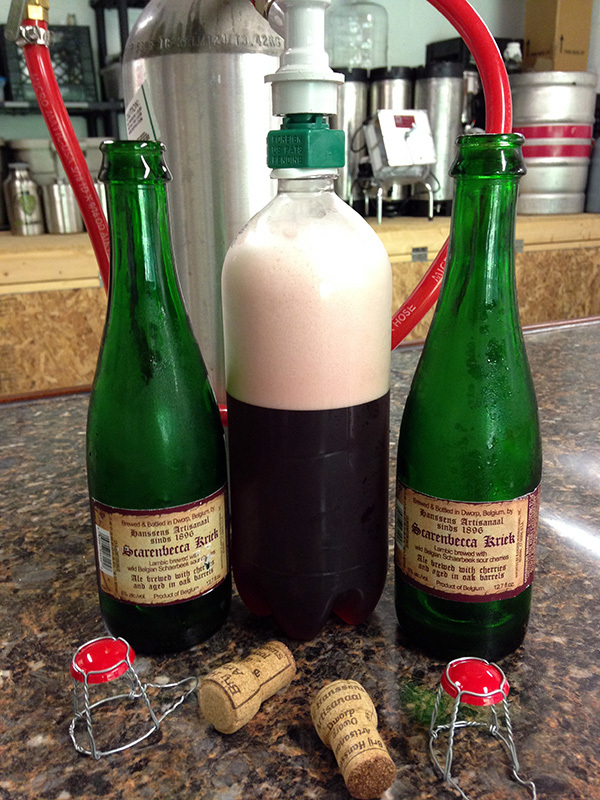 For American sour beer producers, both natural and force carbonation are used. I have no idea which is more prevalent but my guess would be force carbonation. Another excellent write-up regarding sour beers. The effort and research you put into your articles is clearly evident. Thank you for sharing! Thank you Tom! I’m going to fix that table also now that I’m aware of it. Thank you! “When bottling a mixed microbe beer, do not introduce new yeast or bacteria strains at the time of bottling.” So how long can a mixed bug sour sit in the primary fermenter before bottling? If it’s too long should I get another batch of the mix I pitched? How can I guarantee it’s the same exact mix? Hi Joe, I should have been more clear in that statement that you want to avoid adding new strains of Brett or bacteria because they could potentially be more attenuative than the strains already in the beer. Once a beer has a stable attenuation for several months it should be safe to re-yeast at bottling time with a neutral strain of Saccharomyces. Just wondering if you have a quick/cheap way to use the carbonater cap without having a kegging setup? ie; paintball take or a handheld co2 pump. These can do the job, but will not allow you to easily regulate the amount of CO2 that you’re adding. There are versions of this device with a small built-in regulator but they are significantly more costly. I will be bottling a Berliner Weisse sometime in the next few months, bugs willing. I want to carb close to 4 so I am thinking Champagne bottles. I have seen some fairly carbonated beers in Champagne bottles with just caps, will this be strong enough, or will I have flying caps? I could cork and cap or core and cage, bit if caps would hold, this would be more economical for a beer that should be consumed on the fresh side. Is there a standard rating for level of carbonation that various closers can handle? I’m sorry for the late response to this question. I somehow missed seeing it until now. It is my understanding that a properly seated crown cap can handle any level of carbonation that the glass itself can handle. For the most part the choice between crown caps or cork and cage closures is based on style / personal preference. The only time I have ever seen a closure fail before the bottle is when a beer becomes frozen. As long as your bottles are appropriate for the carbonation level, you can use either type of closure safely. I’ve often wondered if carbonation is different in any way when produced by force vs bottle conditioning. I think I’ve read that columes of CO2 are same regardless how they are generated. The thing that makes me question this is that I force carb all of my beers and sometimes I taste beers from breweries of similar style and find that their carbonation seems to be far more apparent and taste better. More bubbly tasting in the mouth and more bubbles constantly rising from the bottom of the glass as the beer sits. Any thought on this? 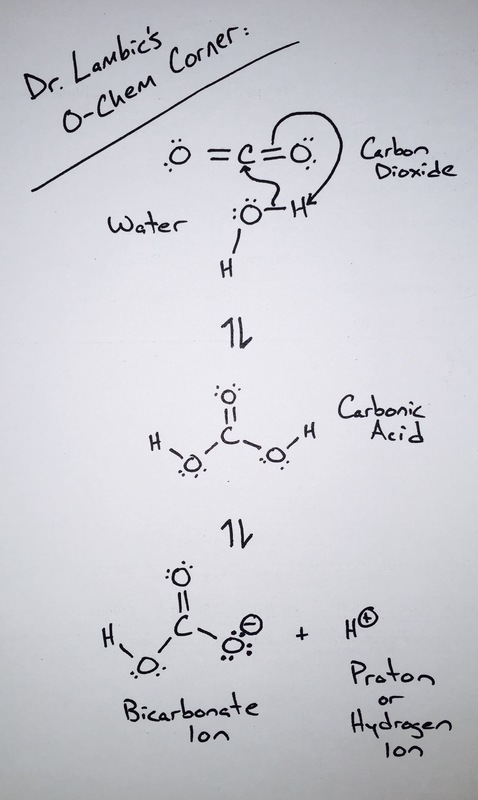 The carbonation itself (the actual CO2 molecules) is/are the same with both methods. That being said there are a couple of things that can be different when bottle vs. force carbonation. The first is that many bottle conditioned beers have higher volumes of CO2 on average than draft beer. Most draft beer (to prevent serving problems) will not be carbonated above 2.5 to 3 volumes, whereas many bottle conditioned sour or saison/farmhouse styles will have 3 to 3.5 volumes in the bottle. Additionally, depending on how the beer is poured, it can be easier to maintain more CO2 in the beer in your glass at the time of drinking when it is poured from a bottle. Often folks refer to the quality of carbonation in terms of bubble size and how the carbonation feels in the beer itself. This I don’t have as much to say about other than I believe differences come down to the way the beer is formulated and the length of time that the carbonation has had to interact with the beer. In my experience in these types of observations, beer that has been kegged for a few weeks does seem to “behave” a little differently whereas beer that has been kegged for months drinks more like or identical to bottle conditioned beer. The last area of difference would be in yeast and mixed culture fermentation flavors / aromas. The process of bottle conditioning is another round of fermentation that is not mirrored in force-carbonated beers. This process can definitely yield different flavors and aromas, especially if using a bottling strain not present in the base beer. Thank you for the question! Cheers!